Do You Need to Get Information For Previous Tax Years? Tax season may be over, but you still need to hang onto your tax returns and other tax records for at least three years. However, if the IRS believes you have significantly underreported your income (by 25 percent or more), or believes there may be an indication of fraud they have the authority to go back six years in an audit. Furthermore, some documents including those related to real estate sales should be kept for three years after filing the return on which they reported the transaction. In certain instances, such as when filling out financial aid forms for college, you may be required to upload your tax documents from prior years. If you haven’t kept copies of your tax returns, you can obtain them through the IRS, but you’ll have to pay a fee for them. If you need an actual copy of a tax return you can get one from the IRS for the current tax year and as far back as six years. The fee per copy is $50. Taxpayers can complete and mail Form 4506, Request for Copy of Tax Return to request a copy of a tax return and mail the request to the appropriate IRS office listed on the form. If taxpayers need information to verify payments within the last 18 months or a tax amount owed, they can view their tax account using the “View your account” tool on the IRS website. The tool is only available during certain hours, and your balance updates no more than once every 24 hours, usually overnight. You will also need to allow 1 to 3 weeks for payments to appear in the payment history. Taxpayers who cannot get a copy of a prior-year return (and don’t need an actual tax return) may order a tax transcript from the IRS. A transcript summarizes return information and includes AGI. They’re free and available for the most current tax year after the IRS has processed the return, as well as the past three years. When ordering a transcript it’s important to plan ahead. Delivery times for online and phone orders typically take five to 10 days from the time the IRS receives the request. Taxpayers who order by mail should allow 30 days to receive transcripts and 75 days for tax returns. Online. Use “Get Transcript Online” on IRS.gov to view, print or download a copy of all transcript types. Those who use it must authenticate their identity using the Secure Access process. Taxpayers who are unable to register or prefer not to use Get Transcript Online may use “Get Transcript by Mail,” also on the IRS website to order a tax return or account transcript type. Please allow five to 10 calendar days for delivery. By phone. The number is 800-908-9946. By mail. Taxpayers can complete and send either Form 4506-T, Request for Transcript of Tax Return, or Form 4506T-EZ, Short Form Request for Individual Tax Return Transcript, to the IRS to get one by mail. Form 4506-T is used to request other tax records such as tax account transcript, record of account, wage and income and verification of non-filing. 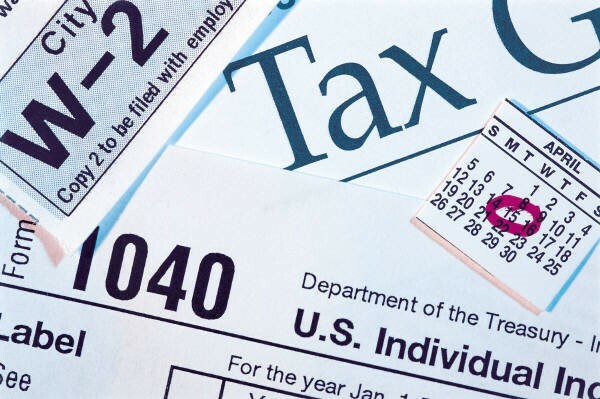 Both forms are available on the Forms, Instructions and Publications page on IRS.gov. If you need assistance obtaining prior year tax information, please call. Are You A Small Business Owner Looking for Ways to Reduce Your Taxes?